Aaron Huggett, local indie film director, writer and history buff, is hard at work bringing another piece of Canadiana to life. 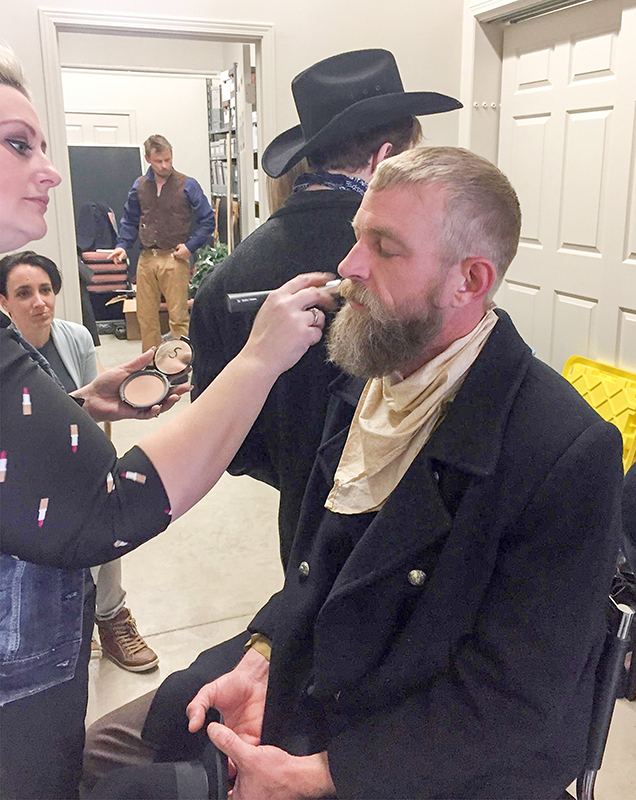 Last year, Huggett delivered a 23-minute movie about the colourful life and death of robber Red Ryan, shot down in a hail of bullets in Sarnia during the Dirty Thirties. Now Huggett has researched and written his version of the Black Donnelly saga, which played out in Lucan, Ont. in 1880. Numerous actors and crewmembers from Sarnia are volunteering their time to produce the film, which Huggett anticipates will be twice the length of Red Ryan. “There’s a lot of Canadian history that isn’t being told,” he said. “So I decided to put an anthology of Canadian history stories together. The dark tale of a family of Irish immigrants murdered by an angry mob fascinates Huggett and he’s betting audiences will share his curiosity. “We always think of the massacre of the five Donnellys but that’s not the focus,” said Huggett. “To me, the most interesting part is what drove the Vigilance Society to do it. Huggett said the film doesn’t side with or against the Donnellys. Huggett’s company, Eclipse Media, and Up Top Films of Minneapolis are currently crowdfunding (https://igg.me/at/BlackDonnellysMovie) to generate the $26,000 or so needed for production. About half has been raised and Huggett is hoping to find some business and corporate sponsorship. If all goes according to plan and shooting wraps up in May, The Black Donnellys will premier this fall in Sarnia. Sarnia’s Ian Alexander is directing The 39 Steps, Theatre Sarnia’s next dramatic production at The Imperial. The play by Patrick Barlow is derived from a 1935 adventure film and described as a mix of Hitchcock, juicy spy novel and Monty Python. Lots of laughs are promised as only four actors take on the roles of more than 150 zany characters. The presser describes The 39 Steps as the story of a man with a boring life who meets a woman with a thick accent who claims to be a spy. When he takes her home, she is murdered. Soon, a mysterious organization called The 39 Steps is trailing the man nationwide on a manhunt that climaxes in a death-defying finale. WHEN: March 31, April 1,5,6,7 & 8 at 7:30 p.m.; April 2 at 2:30 p.m.
TICKETS: $25 adults; $22 seniors; $15 young adults); $12.50 Youth. Call the box office at 519-344-7469 or www.imperialtheatre.net. If you have an idea for the Arts Journal, contact cathy.dobson@thesarniajournal.ca or call her at 226-932-0985.